Is note investing just too good to be true? Listen to the podcast audio to get the scoop now! In this latest installment of the DistressedPro Professional Podcast Brecht Palombo interviews Chris Winkler of Silverwood Capital. 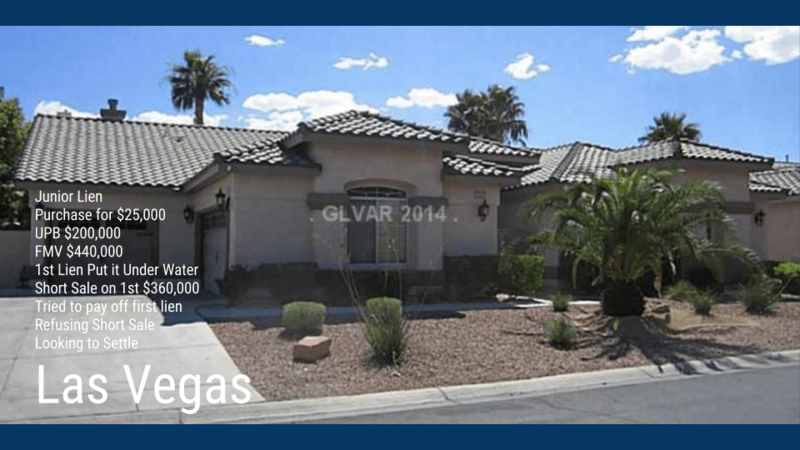 Silverwood buy, sell, and JVs on mortgage notes. In this exclusive episode Chris reveals how the note business can both be highly profitable, and financially perilous. In just 100 days Winkler’s firm took one note from a $15,000 acquisition to making $20,383 in profit, for a fabulous 118% return. 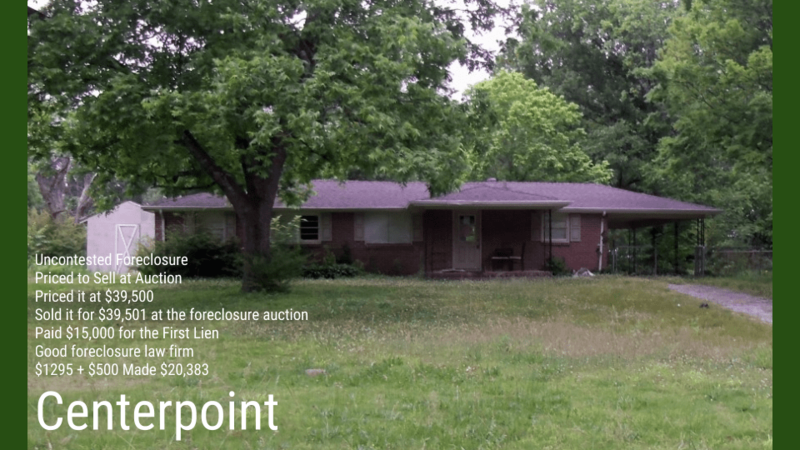 With just $1,795 in fees the CenterPoint, AL property was flipped at foreclosure auction for a total of $39,501. Over in Las Vegas Silverwood Capital ran into a far more challenging situation. The second lien was purchased for $25,000. With a $200,000 unpaid balance it could have been a slam dunk. Yet, despite the due diligence which showed promising ability to repay or cure the non-performing note, the firm has so far been unable to secure a net profit. The first lien holder has refused to agree to an acceptable short sale, and the borrower hasn’t settled. That leaves the noteholder in a strong equity position, but in a holding pattern in terms of turning the profit potential into cash. 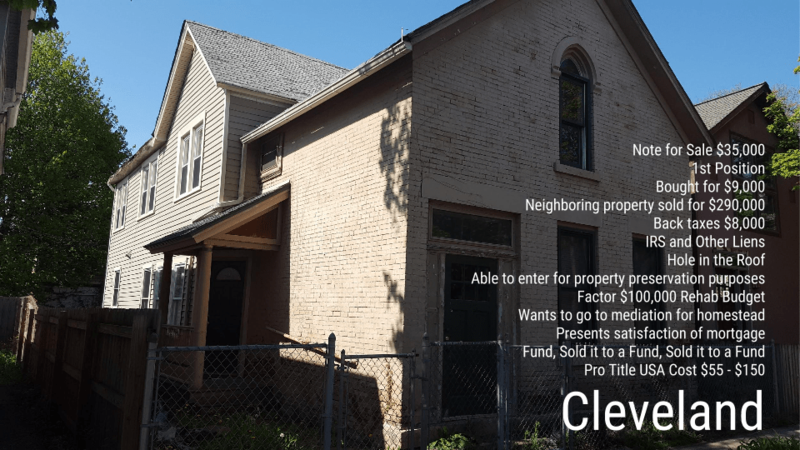 Up in Cleveland, a home with a FMV of around $290k, saw its first lien purchased for just $9,000. Even with an additional $8,000 paid in back taxes, a hole in the roof, and an awkward situation with the owner living next door, this could turn out to be a spectacular deal. Unfortunately, the borrower presented a satisfaction of mortgage showing they had already settled the debt, before the note was purchased. So far trying to find legal help has been elusive due to every attorney having been contacted having to recuse themselves for previous dealings with the fund in question. 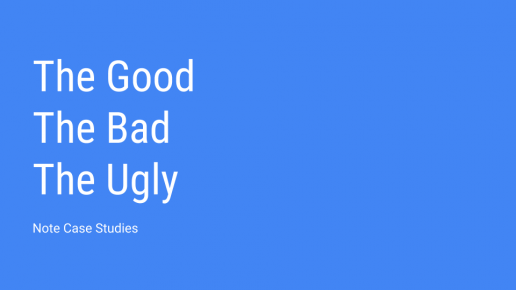 The note case studies clearly show the grand potential profits in debt investing, as well as the pitfalls that are out there. I found it interesting to learn about these very different areas of the country and their not investing. Having this information to study like settling debt is important. My fiance would appreciate this help since he was looking into coaching services.